Backup camera retention harness (2014 F150 only)/Direct RCA input for aftermarket camera. 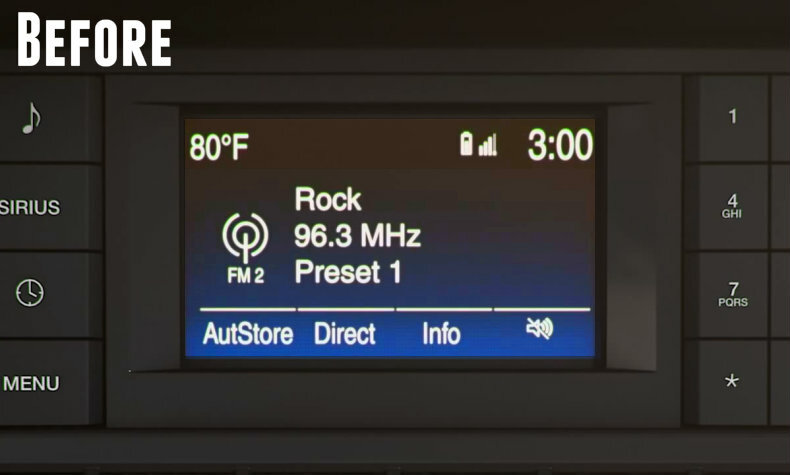 4dtech did a fantastic job on explaining in the video for installation of the sync 3 in my 2013 Ford f150. The custom harnesses we're a perfect fit. I will be recommending them to all my Ford friends. Great product and even better customer service. I made a mistake in my order, not informing them that I had a backup camera pre-installed on my truck. Sent an email to customer service, after the product had been installed, and received a response and a solution within the hour which included additional parts being mailed to me at no additional cost (with prepaid shipping included to send back the parts being swapped). Very impressed. Product works great and is a huge step up from the 4" factory setup. Highly recommend this product to others. This is a great upgrade, but I did have a couple very minor issues. I watched the video several times in preparation, but still ran into some problems. It just took some time to work them out. The 3 bolts that secure the passenger side airbag were 10mm in my F150, not 8mm as mentioned. Not a big deal, but be prepared. The new bezel does not come with the top switch in place, you need to move it from the bezel you remove. An easy task, just not mentioned in the video. It is covered in the printed instructions. It took some time to run the cables to the GPSM, it was a little awkward. Watch the video carefully to see where to run them. During the setup process for Sync 3, I was given the option to turn on automatic updates. I contacted support and was advised to update via USB with downloads from their website. Overall this went very smoothly and I’m pleased with the results! First let me say this was a very very easy install, watched their video a couple of times for reference which made it very easy when it came time to install the system into my truck. I have a 2014 XLT which came with the 4.2 screen now having the 8'' screen is great the backup camera with the smaller screen was a pain to see but with the 8'' its perfect for hooking up the trailer as well as getting a better view of whats behind you.. Had some issues rite from the very start with it the whole system it would fail to load and the lights on the bezel controls would always stay on. Contacted 4Dtech and there technical response was the same day they gave me a list of a few things to try which did not work so I contacted them again and they sent me out new parts (I did have to pay a deposit of which they did refund also they covered all of the shipping) which I swapped out and it appears to be in good shape now. I selected the Sync 3 without Nav as I use Apple Car Play for my Nav save yourself $600 you won't regret it. I am 65 years old... I have never tackled anything as complicated with automotive electronics. I watched the video several times, and then played it on my iPad in the vehicle while dismantling and installing the console. Everything was great except the traction control button, in the top center of the console, explaination was missing. I quickly figured it out and went on with the explaination. I also installed a tailgate backup camera at the same time. The harnesses were too complex so getting power to the camera was the only thing I had to get help with. Everything else went very smoothly. I was a little hesitant in purchasing the entire package (instead of buying all the parts separately) due to the price tag associated with the 8" screen and the nav. However, everything that was required was included in the package and I couldn't be happier with the upgrade. The touch screen and navigation are worlds apart from the 4" screen that the truck came with. The install videos were easy to follow along with but took me a few extra minutes at certain points due to the postioning of some of the parts within the vehicle. Overall, a great upgrade! I upgraded from the 4" screen to the 8" screen with Nav. I followed along with the install video which made the install very easy. The unit works perfectly and I couldn't be happier. 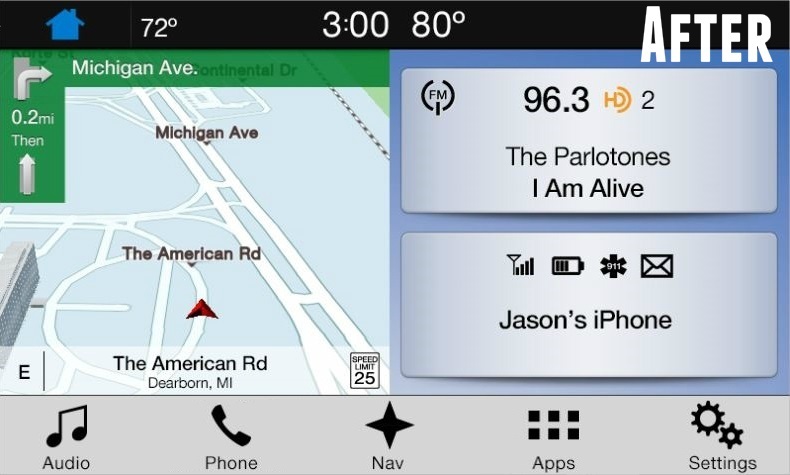 Be advised however, Ford has not updated the maps in Sync 3 in a couple of years, and no update is out there yet. Just getting Siri and the Apple Car play addition was worth it to me!